The IBM TrueNorth chip, which mimics brain patterns. IBM has developed a “neurosynaptic computer chip” that is modeled on the architecture of the brain. 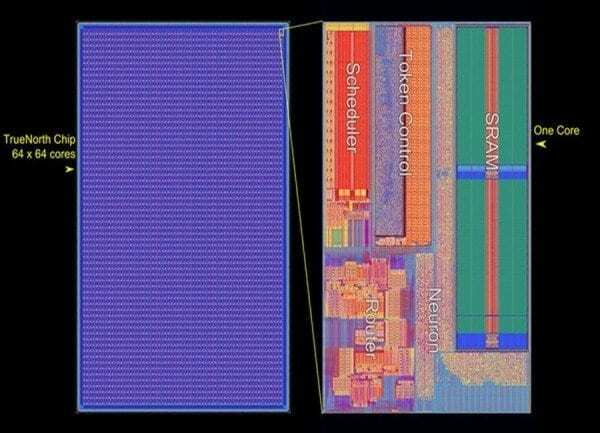 September 27, 2016 - IBM's Brain-Inspired Chip Tested for Deep Learning IEEE SpectrumIBM's TrueNorth computer chip shows it can do deep learning despite never having been designed for it.